Can you name the members of the Barnes family in this photograph? 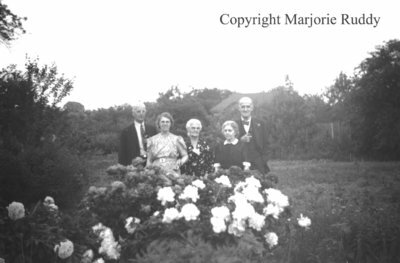 Black and white negative of the Barnes family on July 2, 1939 in Whitby, Ontario. This photograph was likely taken in the Barnes family garden at the south-east corner of Athol and Gilbert Streets. The Barnes Family, July 2, 1939, Marjorie Ruddy. Whitby Archives A2013_040_956B.